This housetype is unique, with a natural sandstone frontage with traditional style brick to sides and rear and natural slate roofs. 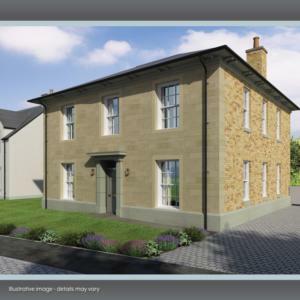 5 double bedrooms, 2 with en suite shower rooms. Large family bathroom with free standing bath and twin basins. 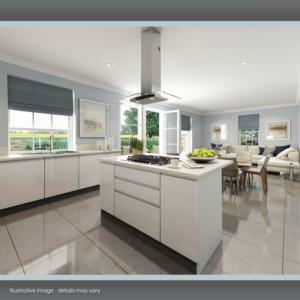 Kitchen stainless steel and integrated appliances include a wine cooler, dishwasher, fridge freezer, cooker hood, built in microwave, 5 burner gas hob and double oven. Hand painted house number and name in gold leaf lettering. Internally, homes can be individually customised in a traditional or contemporary style with many options to make a house “your home”.